QUIZ! The word instills excitement in many. Does it do that to you? Sitting on a chair and answering some questions sounds easy, but when a packed audience is waiting for each and every answer of yours and a brilliant quiz-master is testing your knowledge of this ever-changing business world, can you handle the pressure? Teams must consist of 2 members. 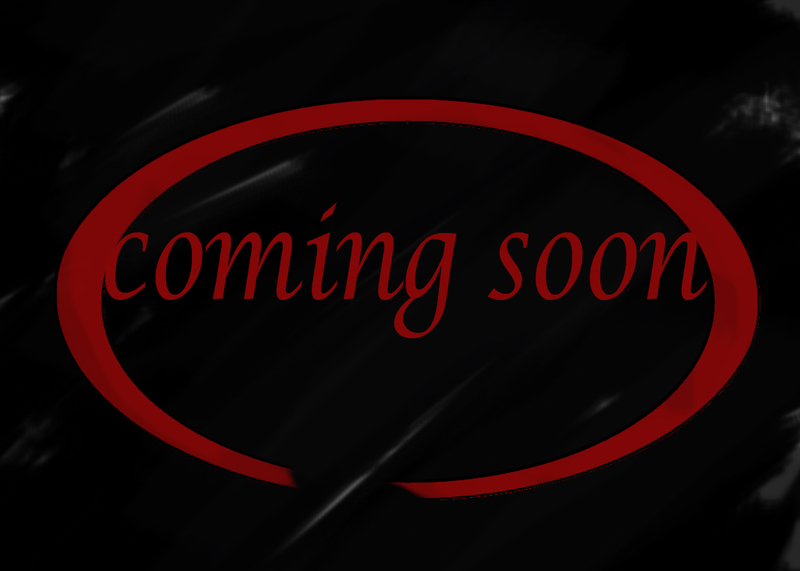 If you are still excited, then you are going to love what we have to offer! Online Prelims will be held on 24th February 2012. 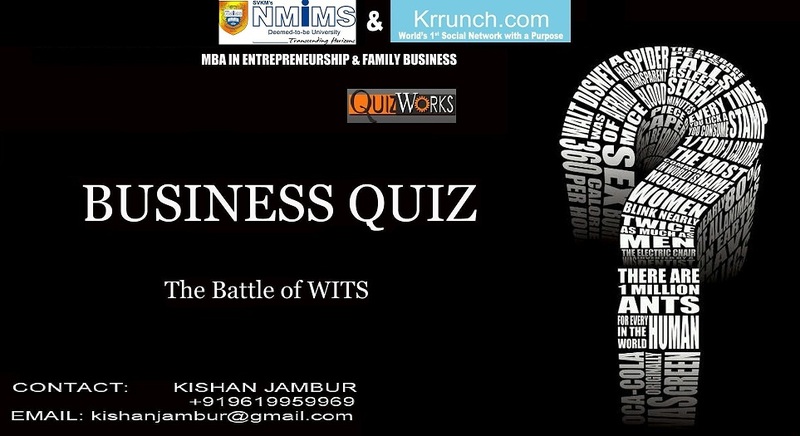 The biggest Business Quiz for Students is back! 24 cities – 24 champions – 1 National Champion. Not only is the Tata Crucible a chance to be crowned the Best Business Quizzers in the country but also a fantastic platform to monetize your year long preparations. The Tata Crucible Campus Edition , now in its 8th year, will be hosted by quizmaster Giri Pickbrain Balasubramaniam and will be spread over 50 days! But as usual what surprises us is no action being taken on Professional courses like ICAI and ICWA. Its just unfair to the students of ICAI that they have to hear the brickbats of a 1000 students!! 4-Mar-12: Sunday: Chennai 1pm Vivanta by Taj – Connemara Binny Road, Chennai. 18-Mar-12: Sunday : Guwhati 2pm Indian Institute of Technology – IIT Campus Guwahati – 781 039. 31-Mar-12 – Saturday : Delhi 1pm Taj Mahal Palace Sardar Patel Marg, Diplomatic Enclave, New Delhi. But worried you aren’t prepared yet? Participate in some of the older Tata Crucible quizzes and find out how you do here. Or browse through the Question Bank of Questions from the last 6 years of Tata Crucible here! 1. Which financial giant owns majority stake in LEGOLAND under its Merlin Entertainment brand? 2. Famous Slogan by American criminal GARY GILMORE before he was executed in1977? 3. HARD ROCK café motto “love all serve all” is based on whom? 5-SIMPLY FLY written by whom? 6- He is credited with the modernization and computerization of Indian Railways. Name the personality? Launched Shatabdi Express too! 7-SoundJam which was acquired by Apple was relaunched as what? 8- Elizabeth Hurley is associated with which cosmetics brand that awarded her the first modeling job at the age of 29? 9- From where (city) was the first FM radio Service started in India? 10- ‘Blyk’ is a mobile messaging media service targeted at the youth. Which cellular operator provides the service in India? 11- ‘Sure’ in UK, ‘Shield’ in SouthAfrica, ‘Reward’ in Nigeria. How do we know it in India? 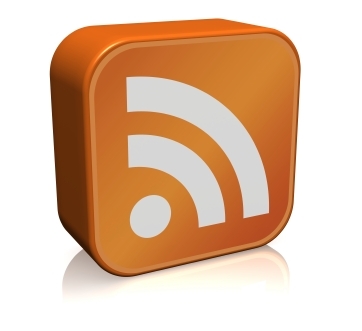 12- What was unveiled by Steve Ballmer on May 28, 2009 at the “All things digital Conference’ in San Diegeo? 13- Who owns ‘Instone’ nutritional supplements & also editor of the men’s magazine ‘Sly’? 14- Small car manufacturer ‘Daihatsu’ is owned by which company? 15- Which business house based in Kerala was started by Ninan Mathai & M. George in 1887? 16- Which Malaysia based airliner headed by Tony Fernandes is Asia’s largest low-cost no frills carrier? 17 – Founded in 1783 in Geneva & named after its founder who was a jeweler & amateur scientist. He invented the Geneva system for producing pure bottled water through Carbonization. Identify the brand. 18 – Which venture started as “Indian Ahoy’ a site which is still used to attract high leisure travelers from overseas? But later it was rechristened to better suit the Indian market. 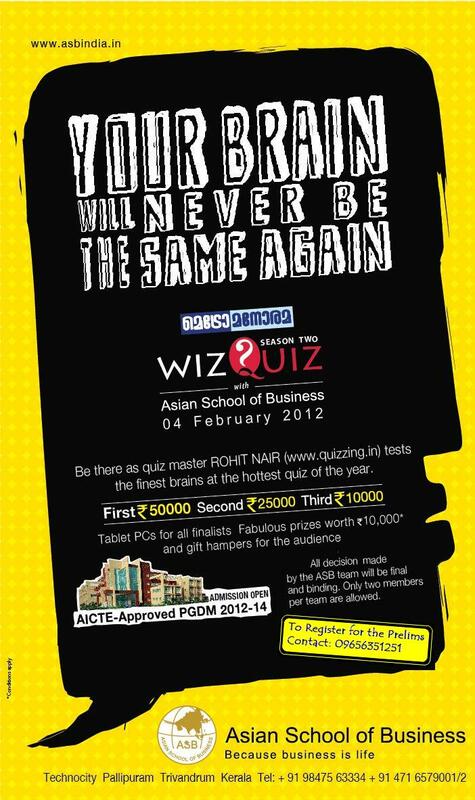 Asian School Of Business is conducting the Wiz Quiz 2012 ( Season II) on 4th Feb, 2012. The celebrity quiz master Rohit Nair tests the finest brains at the hottest quiz of the year. Winners will get INR.50,000, second and third place winners will get INR 25,000 and 10,000 respectively.All finalists will get Tablet PCs, and gift hampers for the audience. 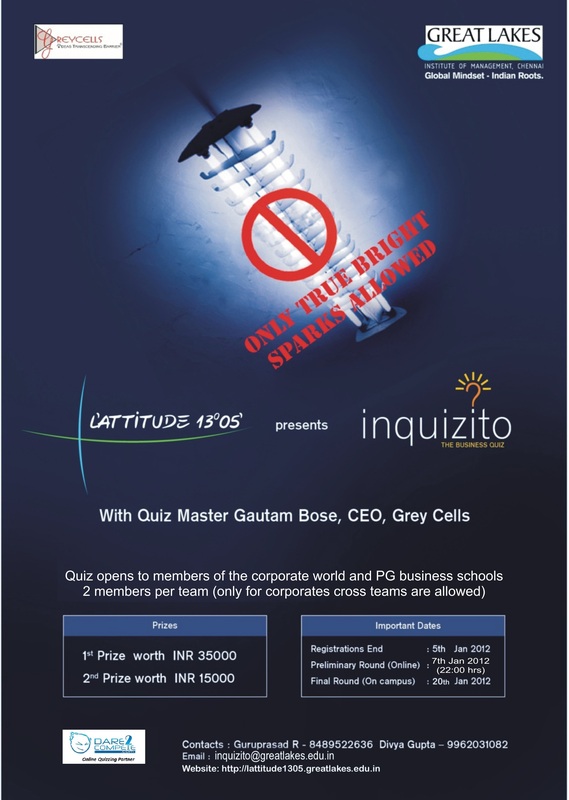 It’s ‘Blizzard time’…Get ready to face one of the most awaited, challenging and rewarding Business quiz in North India. After a nerve biting finale last year, the most anticipated and mind boggling event of Tatva 2011 is back in 2012 in a more challenging avatar! And with a Star quiz master, gritty competition, and an ecstatic crowd from some of the best colleges in India, excitement is guaranteed! Prizes worth: Rs. 30,000 including Apple ipods for the winning team. The quiz is open to students above the age of 18 and who are residents of India. On the spot registrations, 45 minutes before the scheduled start of the events. 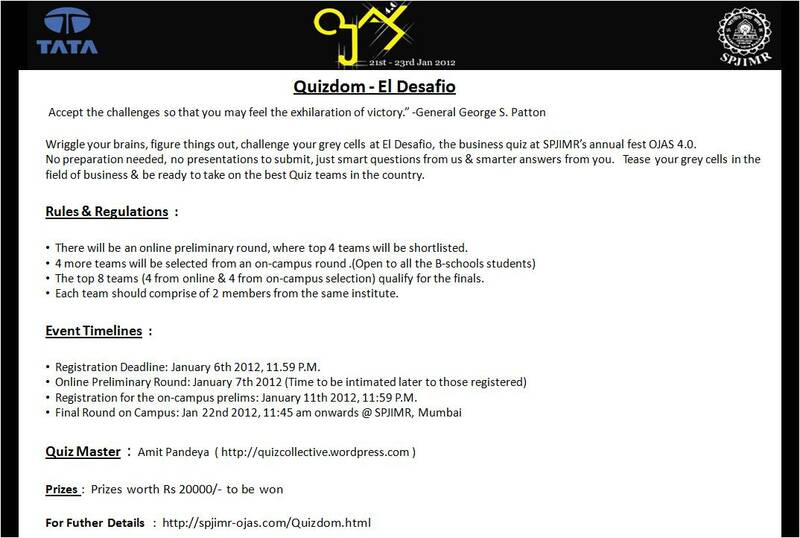 The quiz will consist of a preliminary round (written) following which 6 teams will be selected for the final round. There is no limit on the number of teams participating from a particular institute/college. Use of any unfair mean (mobiles, books, etc) will lead to immediate disqualification of the team. In case of any dispute, the decision of the quiz master shall be final. Prelims of 30 Questions. Followed by Finals. 8 teams in finals. Venue: Mini Hall I (Tech Park Campus), SRM University, Kattankalathur. Prizes: 4k + 2k (for now). Host: SP Jain Institute of Management & Research, Mumbai. Format : Total 8 Teams in the Finals. 4 teams to be selected by Online Prelims to be held on 7th January. Remaining 4 Teams to be selected after an offline Prelims on 22nd January preceding the Final Round. Quiz Pattern : The Quiz will essentially cover a gamut of business related topics but may have questions on general interests as well. Team Composition : Each team should comprise of 2 members from the same B-School. Prizes : Total Prizes worth Rs 20000/- to be won. Online Prelims: 7th January from 22.00 hrs to 22.40 hrs. Top Six teams will qualify for the on-campus finals on 20th January. Top three teams from the PG management schools and Top three from the Corporates. PG management students and members of the corporate community are welcome to participate. Cross corporate teams are allowed. For the student teams both the members need to be from the same institution. Online registration is essential and registration closes on 5th of January. The Hindenberg Line is back…!! And its bigger than ever..!! Prizes for college toppers where a total of 10 or more teams from a college register of Rs 2000/-. • General Quiz open to Undergraduate students across India. • Teams of 2 to participate in the event. • Students should be from the same institute. Cross college teams are not allowed. • Top 6 teams will shortlisted and called for The Final Frontier at SCMHRD Campus on 11th December. 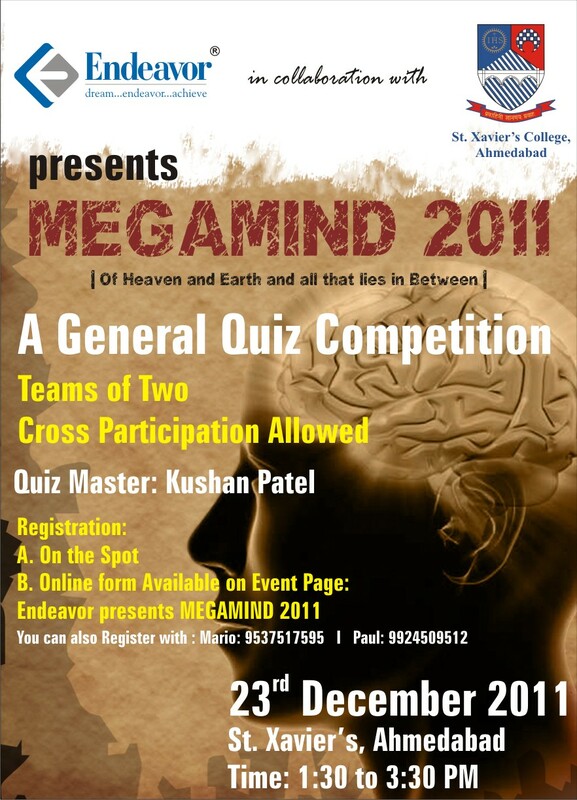 • Final Round at SCMHRD campus on 11th December to be hosted by renowned Quizmaster Mr Rohit Nair. • Final will be an audio visual event of 5 Rounds . • Transport Allowance and Accommodation for Qualifying teams will be provided by SCMHRD. • Organizers decision will be final and binding on all issues. 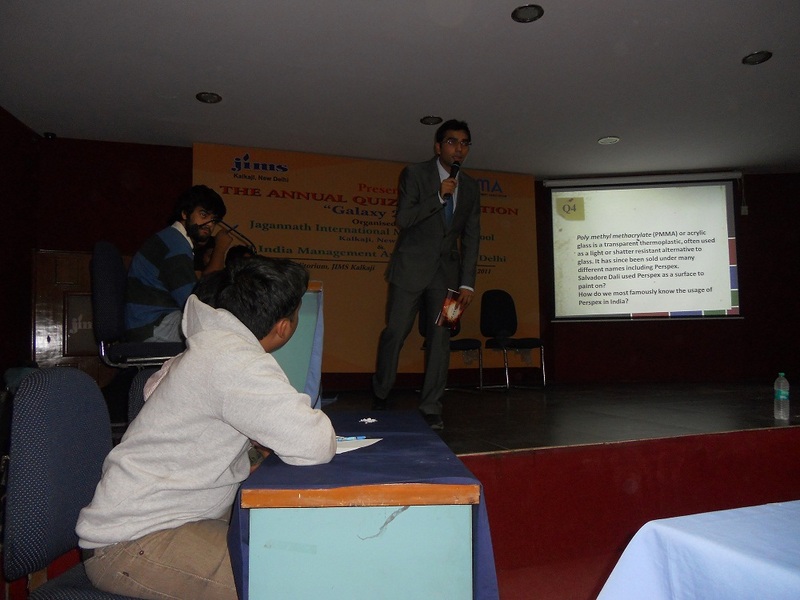 Galaxy 2011, after being postponed twice, was finally conducted in the cramped auditorium of JIMS, Kalkaji on the 26th day of November. Cramped not because of the small size but because of the number of teams that turned up for the quiz(80+), with a few teams from Hyderabad, Bangalore and Kolkata. After a quick little yoga exercise to switch off the cell phones, the 25 question prelims began. The prelims were a mix of business, brands, current affairs and sports. With a difference of 4 marks separating the sixth team from the seventh, the selection of six teams was a task well cut out. The teams that made it to the finals were from IILMx2, FMS, IIFT, Hansraj and Sri Venkateswara College. The finals had 4 rounds- Uchhal Kud, Iski Topi Uske Sar, Zero Katta and Ae! Kya Bolti Tu. After the relatively easy initial rounds, the teams were all warmed-up for the high octane barrage of questions that were to follow. And the two teams that dealt with them with ease were the teams from Venky and FMS who were well versed with their Pixar and La Liga, while IIFT who messed up with their Tennis Grand Slam, was unable to build on the momentum of their foundation. After the end of the penultimate round the scorecard read- 12(Hansraj), 16(IILM), 21(IILM), 27(IIFT), 38(Venky) and 49(FMS). For the final round the teams had to switch to the top gear as it was time to perform or perish – do or die at every question. With two teams getting eliminated after every round it came down to the last two questions. With Venky at 42 and FMS at 49 the quiz was all set for a thrilling finish. The boys from Venky were in no mood to make life easy for FMS as they opted for a 15 pointer and they got it right too. Scorecard before the final question- Venky- 57, FMS- 49. FMS now had two choices, either opt for an 8 pointer and come level with Venky and test their knowledge (and luck) in the tie-breaker or go for a 15 pointer and win it fair and square. But when FMS identified him as Nek Chand, Venky did a barely audible high-five and exchanged smiles since they knew they were going back home with deeper pockets than FMS. Who is talking about whom? The Filmfare trophy since its weight was increased from 1.5 kg to around 3.5 kg. 4. The approximate rates are 0.022 per cent for industries, 0.013 per cent for non-industries and 0.08 per cent for residences on the total value of the property. Introduced in 2001, General Insurance Corporation manages the pool. In India, the largest claim made till date has been by Coca-Cola. What are we referring to? 5. Taken from Kautilya’s Arthashashtra, which Indian Governement agency’s motto in Sanskrit reads “Kosha Moolo Dandaha”? 6. In the Mahabharata, Draupadi is known widely by her patronymic surname, derived from the name of her father, King Drupad. Her actual first name, which she shares with another character in the epic means ‘black’ or ‘dark’. 7. In horse racing, if a rider was a considerable distance ahead of his rivals, he would drop the cains and cruise to victory without much effort. This led to a term being coined for an easy convincing victory. 8. ‘Kachchi Umar Ke Pakke Rishte’ is the subtitle of which famous Indian TV Sitcom? 9. Bollywood is the largest film industry in the world in terms of number of annual film productions ahead of Nollywood and Hollywood. Worth $250 million, what country does Nollywood belong to? 10. ‘We have decided to continue with him as he is synonymous with the brand and network of the. He was more of an emotional attachment and was also important from the creative perspective. The child was not important, though he would be introduced in the second phase’- said Harit Nagpal, the business director of the company. What is he talking about? Date: November 25th at 3 PM. Venue: Auditorium, Jaipuria Institute of Management, NOIDA. The Entry Fee Per Team is INR 150.